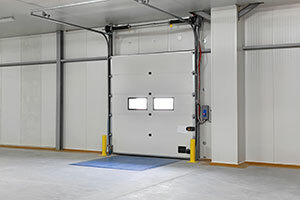 You may have noticed that there are many different types of garage doors out there, in terms of materials and construction. Some doors swing outward and are only constructed from one panel, while others are segmented and roll up into the garage ceiling. This second type of door is known as a rollup garage door, and is an automatic design in most cases. In Rye, New York, many homes are equipped with these rollup designs. To get started with learning more about your rollup garage door in Rye, it's helpful to take a look at the types of problems and repairs that can occur over time. You don’t need to break the bank if you want to reap the benefits of working with a professional garage door servicing company. We have managed to keep our prices low and our quality high and we could be the perfect answer to your garage door problems, no matter what they may be! Our secret lies in working with passionate, well-trained people who genuinely want to keep our clients happy, so if you want to hire a professional company that does its work with pleasure, we are the answer. Give us a call today! In terms of troubleshooting, it can be tempting to look up your garage door's issues online and try to fix them yourself. Yet because Rye rollup garage door designs are quite heavy and can be bulky, this is easier said than done. To get the job done correctly and safely, it's best to stick to the help of professionals. Some signs that you may be in need of assistance with your Rye rollup garage door could include the door opening and closing with greater difficulty than usual, as well as making strange noises. There may be tension in the springs, or a bent cable track. If you have a wood garage door, you will need to stain it to protect it from the local elements. Weather can be severe in Rye, so be sure to ask about weather-proofing your rollup garage door to make it last longer.